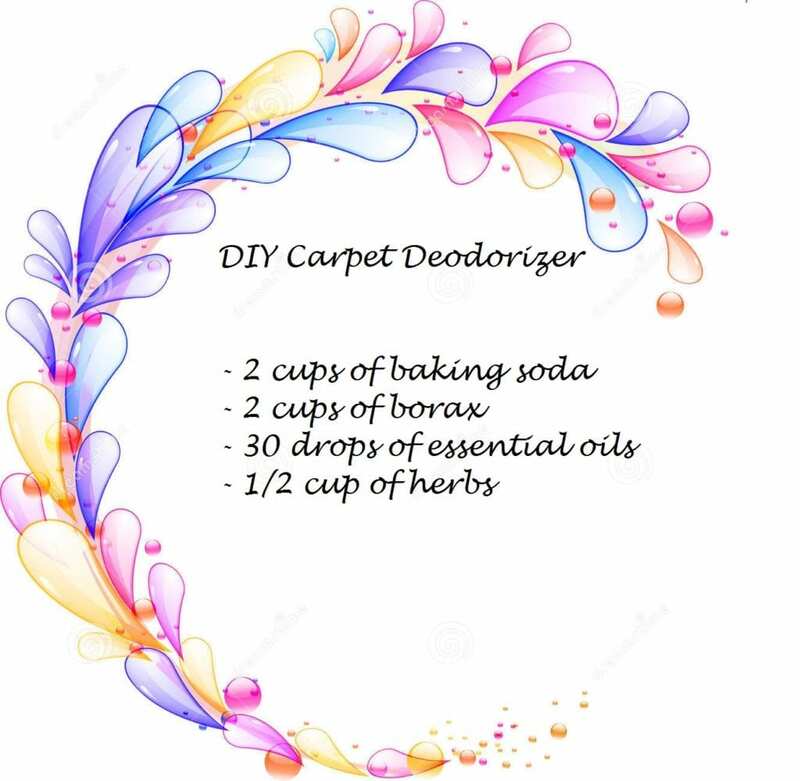 If you’ve already used our DIY carpet cleaner recipe, either as a stain remover or to give your carpets a deep clean, you know just how easy it is to make your carpets sparkle. But, in between stain removal and deep cleaning, your carpets get stale. That stale carpet smell lingers around your home, and no amount of vacuuming it gets rid of it. The carpet freshener you buy at the store is expensive, full of chemicals, and has a strong, artificial fragrance. So, save yourself some money, avoid adding any more chemicals to your living environment, reduce your carbon footprint, and make your home just a little greener. How? By using our fabulously easy natural homemade carpet cleaner recipe! It’s super simple. Mix all of the ingredients in a bowl. Stir the mixture thoroughly to ensure the essential oil spreads evenly throughout. Store in a mason jar and get hold of a spare lid to turn into a shaker. Store in something like a piece of Tupperware and decant into a flour shaker before use – or spread it with a large spoon. Yes, borax is an irritant to the skin and eyes if it makes direct or prolonged contact in its undiluted form. Here’s a great resource on borax in natural cleaning recipes. So why use it in a natural carpet freshener? Because it’s a powerful natural cleaning agent. So it freshens your carpet and helps give it a clean in between deep cleans. Additionally, it’s an excellent insecticide, so it helps to combat any insect infestations – including parasitic ones like fleas. The choice is entirely yours, choose one or both. It depends entirely on what scents you like. Just remember that if you go with essential oils to choose clear or almost clear varieties. Dark oils may stain your carpets. Essential oils will give you a stronger scent than dried herbs, which give a more subtle fragrance. Again, it’s really easy. Decant the mixture into a shaker, then shake liberally across your rug or carpet. Apply as evenly as possible. Leave for at least 10 minutes – ideally for around an hour. This allows the ingredients to absorb lingering odors and penetrate the carpet layers. Then simply vacuum thoroughly. And hey presto! Clean, fresh carpets! For a deeper clean, check out our Natural DIY Carpet Cleaner recipe. Now you’ve freshened and cleaned your carpets the natural way, are you itching to get out in the garden? If so, check out our “10 Things To Do In The Garden In Fall and Winter” and get your garden ready for the new growing season.